The kids will be going Back to School within the next few weeks. Are you excited to have your little one out of the house during the day? I am excited about this weekend because, in Florida, it is Tax-Free Weekend! This is a great opportunity to score some savings when the kids need new clothes, school supplies and shoes for back to school. I love saving money so when there is an opportunity to save on things I need, I will usually get right to it. What else are you doing to prep your kids for the new school year? Have you thought about how to prep their immune system for any colds that they may come across? Getting sick is no fun, so why not increase their chances of not getting sick inside of treating the problem when it comes up. I know when my son started preschool I was nervous that he was going to get really sick so I made sure to cook a lot more with coconut oil. 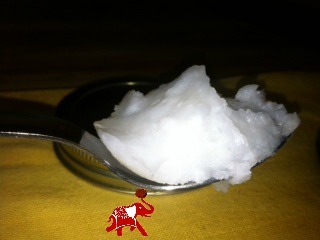 Coconut oil is a powerful anti-viral agent which may help to prevent cold and flu viruses that seem to linger in schools. Also the lauric acid, a medium-chain triglyceride, in coconut oil helps to fight off bacteria and helps build your defense against viruses. So, how do I personally incorporate coconut oil into my little guy, and myself, to keep the cold bug away? Well before he started preschool I made sure to cook a lot more at home so that I was able to add coconut oil to our favorite dishes. We would also eat oatmeal every single morning and we would put a teaspoon of coconut oil in the bowl. It became a routine, we would cook the oatmeal, add the almond milk and then add the coconut oil or “coco” as Aidan calls it. I would also add it into our favorite dishes like mashed sweet potatoes and Carolyn Ketchum’s mahi mahi nuggets.Then when he started school I was fortunate enough for him to not get sick right off the bat. He would get a couple of coughs here and there but I would give him a little coconut oil orally before bed and he would be fine the next day. I like to say that I owe coconut oil for my family’s great immunity! Are you using coconut oil to boost your immunity? 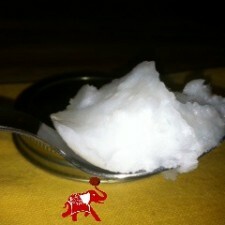 I keep hearing about how healthy coconut oil is but did not know how to use it. Thanks. I’ve had a chronic cough for more than 10 years. I’ve been to gastroenterologists, Ear, Nose and Throat doctors, National Jewish for respiratory problems. I had surgery on my nasal passages and probes down my throat into my stomach. GERD was ruled out. Nobody could help me. The only thing that gave me some relief was Benadryl tablets (for allergies). I had been using coconut oil for oil pulling and then read something about it helping with coughs because it coats the throat. I tried 1/4 tsp and swallowed and didn’t cough after that. My coughs were so severe before I had to excuse myself and go into the bathroom and almost convulse in my throat to get rid of the “hair in the back of my throat” tickle. I’ve been using 1/4 tsp of coconut oil every couple of hours for three days now and haven’t had a significant cough. It’s amazing.My sides ached from coughing all the time. I hope this keeps up. Just thought I’d share.